Building Stronger Communities is a project in partnership with Victim Support funded by the Big Lottery’s Reaching Communities programme. 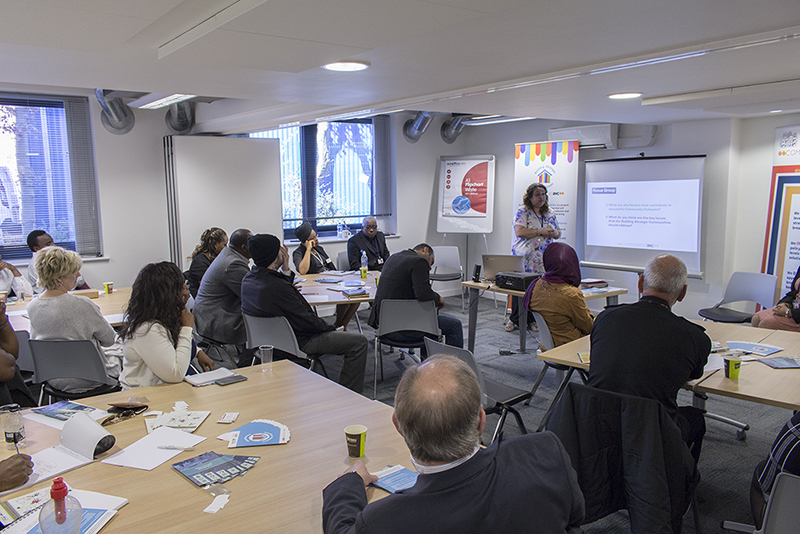 We held our first stakeholder event on the 20th April 2016 at the NBV Enterprise Centre – where Communities Inc is based. It was attended by 30 people from a range of agencies (statutory and voluntary) representing a wide range of interests including ex-offenders, faith, LGBT, disability, BME, women and new arrival communities. Michael Henry, Director at Communities Inc, introduced the project background and commented ‘We were really pleased with the turnout. Its shows the level of interest this project has generated and we see this project as a resource for the City and Bassetlaw District. It goes way beyond being just a Communities Inc project’. Jagroop Dhillon, Project Co-ordinator outlined the aims of the Building Stronger Communities project and shared the strategy of how we intend to deliver and measure its impact. ‘This is a really exciting project to be working on, we hope to be able to reach out to a wide range of people who struggle to fit in and have difficulty becoming part of a cohesive community’. Please find the link to our first video explaining the Building Stronger Communities project.